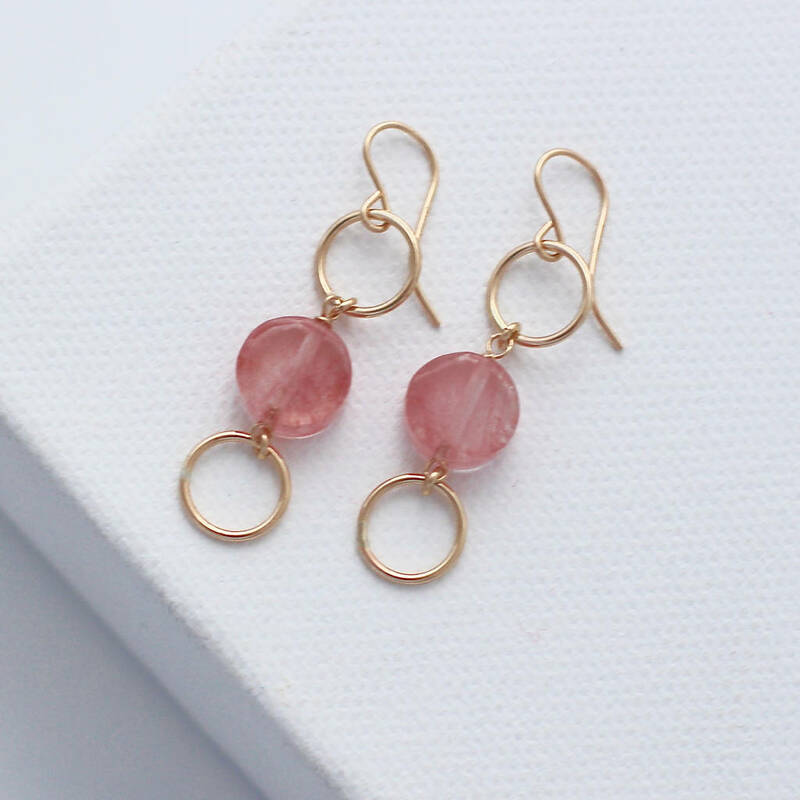 Elegant gold dangly earrings, featuring gold circles surrounding cherry pink quartz gemstones. Gold open circles are connected together by cherry pink quartz gemstones, to create these long gold dangly earrings that are subtly glamorous. GOLD FILL: The material gold fill (also known as rolled gold) is durable and tarnish resistant, with over 100 times more gold than gold plated components, which makes it an affordable, high quality and hypoallergenic alternative to solid gold. Quartz gemstones, 14k gold filled.